The Bilby is an iconic Australian marsupial, instantly recognisable by its long pointed snout, long ears, soft grey fur and striking black and white tail. What is AWC Doing ? AWC protects almost 15% of the entire Bilby population. 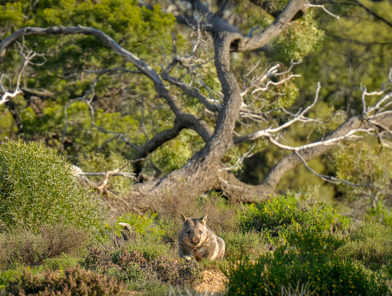 The key to our success with Bilbies has been the establishment of massive feral predator-free areas. 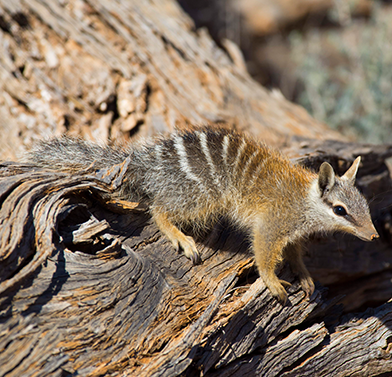 AWC’s Scotia Wildlife Sanctuary protects almost 1,000 wild Bilbies, while another significant population occurs at Yookamurra Wildlife Sanctuary. In 2016, AWC reintroduced Bilbies at Mt Gibson, where we expect the population to grow to around 240 animals. 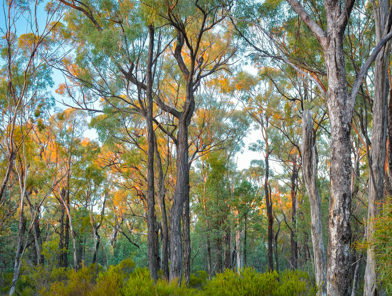 AWC reintroduced Bilbies to the Pilliga in late 2018, and will soon establish new populations at Newhaven Wildlife Sanctuary and at Mallee Cliffs National Park. 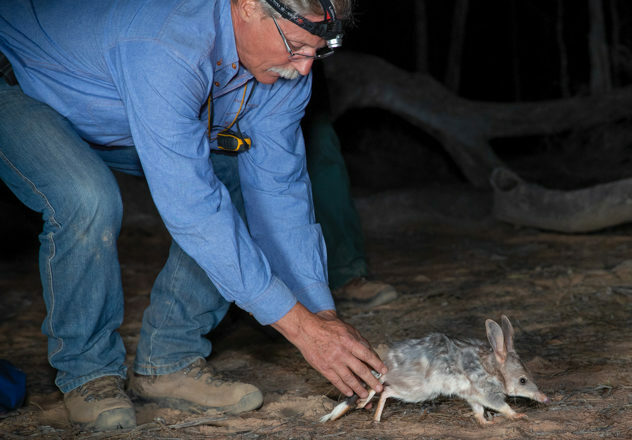 Within a decade, AWC properties will protect an estimated 5,000+ Bilbies. 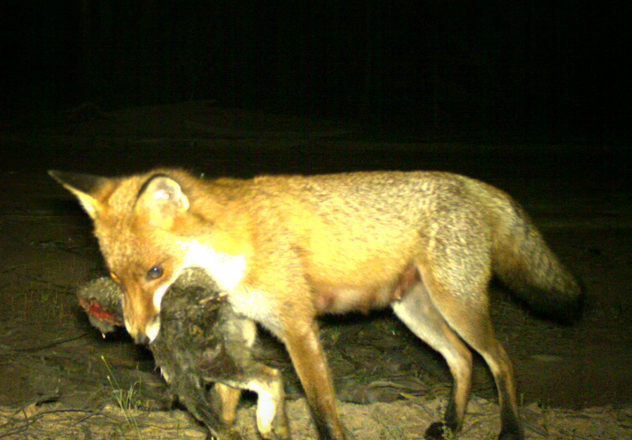 The Bilby population continues to decline, with the primary cause being predation by feral cats and foxes. Altered fire regimes and competition for resources with introduced herbivores are other key factors leading to the decline of this species. Bilbies live in a variety of habitats including grasslands, stony downs country, and desert sandplains and dunefields. 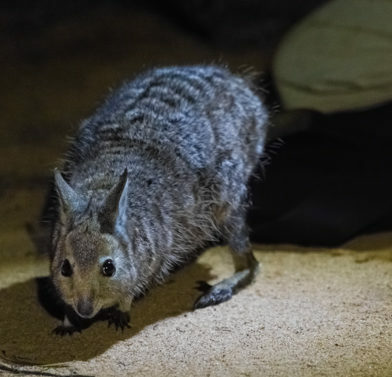 They occur in patchy populations from near Broome through the Tanami and Great Sandy Deserts, and in an isolated population in south-western Queensland. Bilbies were once widespread across arid and semi-arid Australia, occupying around 70% of the continent. Cats and foxes have had a catastrophic impact on the species, which has disappeared from over 80% of its former range. A second Bilby species, known as Yallara or Lesser Bilby, survived in Australia’s central deserts until about the 1960’s, but is now presumed to be extinct. AWC’s logo is a stylised image of the Yallara. 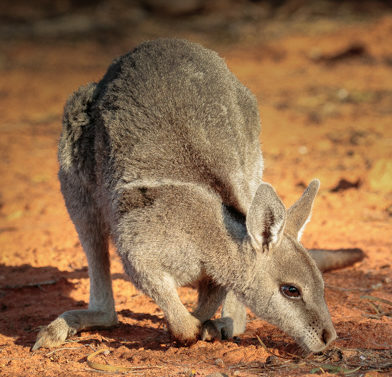 Using their strong forelimbs, Bilbies dig burrows up to three metres long to live in. They are opportunistic feeders, with a broad diet consisting of insects, seeds, bulbs, fruit and fungi. Bilbies act as important ‘ecosystem engineers’; in the course of digging burrows and feeding, an individual Bilby turns over up to 20 tonnes of topsoil in a year.